by Dr. Winifred G. Barton, Ms. D.
We are made of spirit and energy. We are capable of entering a state of grace which is the true end-goal of meditation and spiritual practice. This elevates us above the realm of need and desire to a level of continuous and absolute fulfillment, where nothing else is needed to sustain us. Some yogis have lived in caves, in total darkness and without food for years. Although this is extreme, it demonstrates the above point. In the New Heaven on Earth, everything is perfect, including oneself. Christ and the Buddha taught "Seek ye first the Kingdom of Heaven and all things shall be given unto you." In my personal experience this is correct. It is our natural state - the one we were all born into; the State of Grace that our mythical parents, Adam and Eve, were in before their fall from grace. The Angel with the Flaming Sword guards the East Gate. Our bliss-serotonin level is what ends this Purgatory-like State Hindus call Samsara. In biochemistry this is called 5-hydroxytryptamine c10H12 N20 and in Philosophy we say, "For Thy Pleasure were all things created." "Don't be left behind." The bliss exit is the end of the world as we knew it. We have no desire to go beyond it - or desire of any kind. There is nothing to desire as we have it all. It is called enlightenment in western society. It is known as Moksha (absolute freedom) in India; the state of non-duality where one feels intimately connected to virtually everything. Upon our surrender to Divine Will, we reclaim our birthright. In that our microchip of consciousness actually merges with the Universal Being. "The Father and I are one." Universal Law is inviolable. Ulterior motivation, even well intentioned, drops us back into the fallen state. In the Gospel of Thomas, when his disciples asked Jesus if they should fast, he tells them, "Do not do what you hate." Meaning, once you have entered this divine state, don't do anything unless you really want to so as not to violate the inner wisdom of Divine spirit. Question: "...How to get Bliss?" 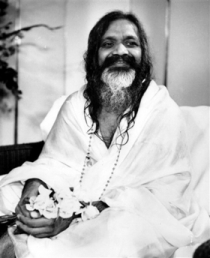 Maharishi: "Bliss is not something to be got. On the other hand you are always Bliss. This desire is born of the sense of incompleteness...What has interposed between that Bliss and this non bliss? It is the ego. Seek its source and find you are Bliss. "There is nothing new to get....Trace the source of the ego. Then the ego is lost and Bliss remains over. It is eternal. You are That, here and now..."
Bliss, to me, is not a preference, it is a state of being. And I wonder, also, if it matters how this bliss is triggered--whether from the lower "sexual" chakras or the heart or head chakras. I feel they are all "God/dess" inspired. I know I experience the bliss through the lower chakras, the heart chakra and the upper chakras. (Not so much in the stomach or throat chakras.) In any case, we are all exactly where we are supposed to be, in my opinion!